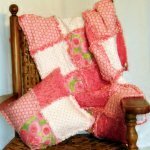 Mother Goose is a beloved image that encompasses a large number of authors of children's nursery rhymes, stories and songs. The history of Mother Goose and how this image came to represent children's rhymes and stories can be traced back to France in 1650. The term Mother Goose first appeared in a French book titled La Muse Historique with the line "Comme un conte de la Mere Oye", which translates to "Like a Mother Goose story". The first book to actually title it's stories as Mother Goose appeared in 1697. Charles Perrault's book of fairy tales, Tales From the Past With Morals had a front page illustration of an old woman reading a story to children. Under the illustration appeared the subtitle Contes de ma mere l'oye orTales From My Mother Goose. Then in 1760, John Newberry published several children's books, one of which was a collection of nursery rhymes titled, Mother Goose's Melody. 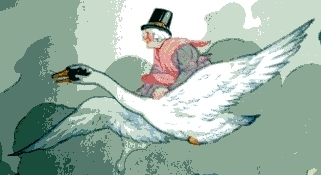 The name Mother Goose caught on and has been associated with hundred's of children's rhymes, riddles, songs and stories from many different authors. Mother Goose Day - what a fun way to celebrate children and nursery rhymes!